Subscription programs seem to be all the industry rage now. Mainly because these companies think that this will appeal to us Millennials. Personally, I think they are dumb marketing gimmicks putting niceties on a glorified lease with a marketable name. But that’s besides the point. Carbuzz reports that their after speaking to Lexus marketing chief Cooper Ericksen at the LA Auto Show, he stated: “I think there’s a lot of unanswered questions about how you take a depreciating asset and have a revenue model that is good for the consumer and good for the brand over the long term of that asset “. He’s exactly right and I think this is the question that no one is asking regarding these subscription programs. 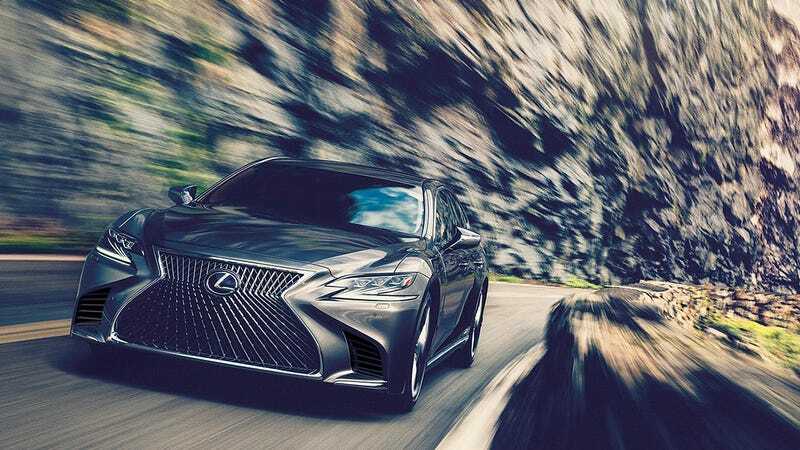 The article states that the closest thing Lexus has is something I was unaware of called the Complete Lease Program that balls maintenance, insurance, tire protection and in vehicle services in with one 2 year lease. The weird thing is is that, like I mentioned earlier with wanting to target young people, its only available on the new youth targeted crossover thing, the UX. And dealers set prices which is...different. Ericksen also stated that dealers will also have the final say so regarding whether or not they will go forward with a full fledged subscription service due to them wanting to maintain the close relationship with the customers. With the recent cancellation of Booked By Cadillac, do you guys think its a good idea for Lexus to get in on Subscriptions? Or is it ultimately just an industry trend right now?